the2019 Medical Mission team to Jalapa, Guatemala has been selected. We plan to send another medical team in January of 2020. To view last season's blog and get a feel for what a medical trip involves, see our missions blogs page. 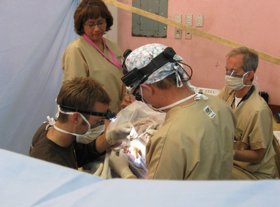 We send out international medical missions team every year. Although teams are sent to different countries and areas, the heart of each trip and why we send them remains the same. Below are a few documents that will give you as much information as we can provide about our trips. We encourage you to carefully read the material, especially the “Questions Often Asked” and “Team Covenant” sections. If there are any additional questions you have please feel free to contact Whitney Swenson at the church office. Please contact Whitney Swenson at the church office with any questions.